Photo 1: Pictured is the Polk CS Voyager getting the final touches before being deployed this fall. Lisa Richardson (pictured left) is an undergraduate student from University of South Florida who led the assembly of the boat. Pictured next to her is Chad Lembke (University of South Florida College of Marine Science) and George Bartuska (Lawton Chiles Middle Academy and Polk County Schools). Middle school students at Lawton Chiles Middle Academy in Lakeland, Florida and other students throughout the Polk County Florida School District, will launch a mini-sailboat in fall 2018. The four-foot mini-sailboat, named the Polk CS Voyager, was assembled by undergraduate students from University of South Florida (USF) – Lisa Richardson and Steven Pink. The Polk CS Voyager will be deployed in the Atlantic Ocean’s Gulf Stream by a team from USF and middle school students in Polk County. The students will track the sailboat throughout the school year, with the hopes it will reach Ireland. Other mini sailboats have taken this same adventure when released on the East coast of the USA. Typically, miniboats have only possessed Global Positioning System (GPS) transmitters so students can track the boat’s location. The Polk CS Voyager has been modified with the help of USF’s College of Marine Sciences and is equipped with GPS and instrumentation for measuring water temperature, air temperature, and conductivity sensors (for surface water salinity). The sailboat’s location and collected data will be shared in near real time with the students to monitor the vessels progress. All data will be available to the public for viewing. The mini sailboat launch and tracking is part of the Educational Passages program. The launched vessels are tracked via computer and mobile devices, and the tracking data can be downloaded and used for lesson plans in cartography and oceanography. Data are also critical problem-solving situations such as determining the vessel’s speed and direction. Lawton Chiles Middle School students have already received unique instruction in anticipation of the project, including lessons on the use and operation of the satellite-based GPS. Photo 2: Another picture of the Polk CS Voyager. This incredible endeavor is in partnership with the University of South Florida’s College of Marine Sciences and Polk County Schools. The primary grantor for the project is the Polk Education Foundation. The project is being managed Mr. George Bartuska, science teacher from Lawton Chiles Middle School. Critical assistance has been received by the boat’s inventor-producer, and founder of Educational Passages, Mr. Richard Baldwin; Mr. James Manning from the National Oceanographic and Atmospheric Administration (NOAA) National Marine Fisheries Service; and Ms. Erin Pelletier with the Gulf of Maine Lobster Foundation. 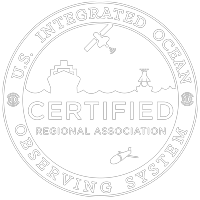 NOAA and the Gulf of Maine Lobster Foundation play a critical role in coordinating the satellite arrangements and satellite time for this educational project. The project would not have been possible without the technical expertise and guidance of USF Center for Ocean Technology, Resident Engineer, Mr. Chad Lembke and Ocean Technician Mr. Steven Butcher.